- Mike rapped verse one of 'Petrified' over the intro of 'Points Of Authority'. - Chester messed up the lyrics in the first verse of 'Numb'. - The opening band, Dir En Grey, was met with heavy booing from Linkin Park fans. 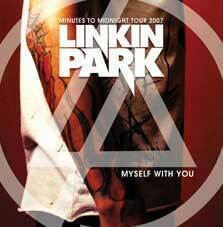 Their "In Weal Or Woe" DVD features a documentary about Linkin Park's Japan Tour 2007 on which they talk about the incident.